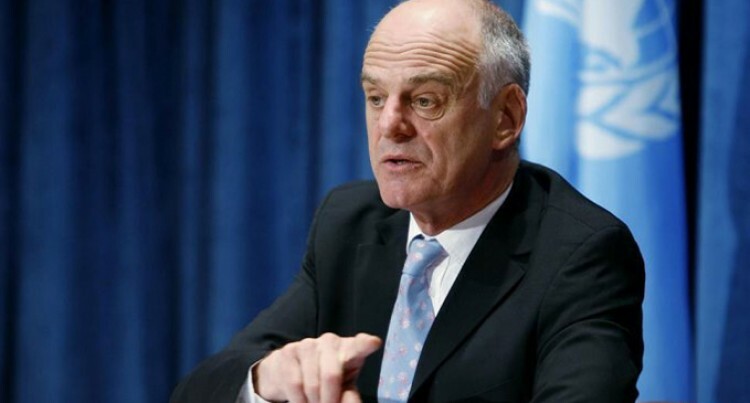 Dr David Nabarro, a candidate for the World Health Organisation Director General position. With over 40 years of medical service under his belt, British Dr David Nabarro has a soft spot for Fiji and the Pacific. He is here for the first time to attend the Pacific Community Heads of Health meeting this week. He is also a candidate for Director General of the World Health Organisation and is nominated by the UK Government. “Anyone wishing to become the Director General of the World Health Organisation must come and spend time in the Pacific,” said Dr Nabarro. “What I would like if I become WHO Director General is for the World Health Organisation and the rest of the United Nations to have a special place for the Pacific in their work. So often priority is given to countries that tend to be greatest, if the country has a lot of people. Dr Nabarro said countries in the Pacific would feel that WHO was serving them. He said they would work together on some very difficult challenges associated with climate change and health, lifestyle diseases, and ensuring that everyone had access to health services. “So often poor people find it really hard to get into hospital to get medicines, to get drinking water and sanitation and that really is what I’ve done over the past 40 years and to work for people who are less well-off to get better health care,” he said. Dr Nabarro said WHO would respond by being an organisation that always worked in partnership with others and brought results. He said there would be a special focus on the countries and communities with major problems which was why the Pacific would be a big part of his agenda. He said one of the major challenges if he got the job was struggling with funding and finding the right people in the right place because it had 150 country offices and six regional offices. “So to be sure that it can get the people, get the money, deliver the results, we have to put in place like what we are seeing in all international organisation management reforms that lead to better working,” he said. He said one of the main issues on his agenda was how climate and the way climate affected health was dealt with and how people everywhere could be resilient in the face of climate change, was a really massive issue for countries like the Pacific. Dr Nabarro wants to leave a legacy that WHO sets out its goals for now and the future. He is determined that it is an organisation that safeguards the future and doesn’t look backwards at the past. Dr Nabarro has worked in over 50 countries including the United Kingdom and National Health Services.